Elections are behind us, and President Emmerson Mnangagwa has the urged Zimbabwe to focus on the economy. Many have heeded the call and have hit the ground running. But what role do local producers have in the economic order Zimbabwe is pursuing? On the sidelines of the just-ended Harare Agriculture Show, Features Writer Leroy Dzenga (LD)sat down with Munyaradzi Hwengwere (MH), Chief Executive Officer of Buy Zimbabwe, a market lobby group promoting consumption of Zimbabwean products, who is also MineX National Coordinator, to unpack how local industries can be nurtured to grow in an era where Zimbabwe Is Open For Business. LD: Now that the election is over, the focus is on the Second Republic. As a person in business, what do you envision going forward? MH: This is a great time for our country. The beauty is that our country is really driven by two main resource sectors — mining and agriculture. We are privileged both at Buy Zimbabwe and MineX to be involved with these two industries. If you look at Zimbabwean opportunities and challenges they arise from misuse and use of land in agriculture as well as mining. LD: What do think are the challenges affecting local content creators? MH: We are right now saying we must have $12 billion as investment from mining alone and 100 tonnes of gold from mining by the year 2030. We are also saying Zimbabwe has an import bill of $2,8 billion. Of that import bill, $2 billion arises from the importation of cereals like wheat, soya beans, things that this land is rightfully made by God to produce. Things that we know at some point Zimbabwe produced in surplus. If we deal with our land issues in Zimbabwe, we eliminate three quarters of our problems. LD: Can you expand on what you refer to as problems and how they can be solved? MH: The biggest problems are that manufacturing collapsed and our mining sector chose to import products. About $600 million is lost through importation of sulphuric acid which is a by-product of agriculture and other things that are within the mining-agriculture value chain. So, if we can get mining preferring local, if we get land restored to where it was, we cannot only become food sufficient, we eliminate our current account deficit and create jobs on the market. For Zimbabwe to prosper we need to ensure that mining continues to do what it has been doing but preference of locally produced goods and services. People should primarily use the land for agriculture, we should not allow our land to go to waste. The land reform must mean better utilisation and directing resources to the betterment of our children. The President has said jobs, jobs, jobs and jobs are on the land. Jobs are on the land where there are crops or minerals. LD: You said there should priority on locally produced goods, what policy approach do you think we should adopt as a country? MH: We have a local content policy, we need to accelerate it to incentivise producers. You know South Africa has a robust policy that favours local producers. In many instances a product in South Africa is 100 percent local procurement for public procurement. They say it must be South African, made by South Africans and employing South Africans. We need to move away from talk and focus on implementation. We understand what others have done around the world. Trump right now is creating havoc by his America first, he is basically saying Buy America, so why can’t we say Buy Zimbabwe? You can’t say I want to be part of the global world without strong producers in our local economy. LD: Now that we have seen investors coming in, especially through the Zimbabwe is open for business drive, how will local producers co-exist with some of these global giants? MH: For us as Buy Zimbabwe we have said Zimbabwe is open for business is good provided that it is properly structured to help develop Zimbabwe. We have said attract the capital because we don’t have it, when it is here, domesticate it and align it to the local content. Like Nestle is doing, they have high local content through Cerevita which is exportable. So there is nothing wrong with foreign direct investment provided it is structured in a way that fits in with the local economy and benefits the local farmer. LD: Let’s say there is protectionism and local companies are protected, won’t we see the exploitation of the local consumer? MH: I have a problem with the word protectionism. I don’t know if your parents at home by looking after you, are they protecting or they are nurturing you? So that you become a stronger individual in future who moves in their own world by themselves. Imagine a parent that leaves their kids on the streets, what will people say about them? It is the same thing, industries are like human beings, they need nurturing and at some point you then say you are sufficiently grown up, you can now compete in the world. Our mindset is skewed, you are talking about exploitation but we can actually save our youth from exploitation through prioritising local industry. There is job potential in putting Zimbabwean products first. We need to work on the land, we nurture it to produce products, we sell it first within a known environment and when you succeed you export. This is not protectionism, this is common sense. LD: As Buy Zimbabwe and MineX, what are your key priority areas as we move forward? MH: Consumer education, because we have seen that the problem is in the minds of most of our people. We need to get our people to believe in themselves, to believe in what they can produce, they should know that they are the entrepreneurs they are the ones that must have jobs. Zimbabweans must be conscious of what they can produce and what is being produced. We need to work with media to send a message that buying local is putting money in your pocket and buying from outside Zimbabwe is sending much needed funds outside. The same thing with MineX, today (Thursday August 30) we had a mining-agricultural interface where we were celebrating the partnership between mining companies and agriculture through the livestock programme. 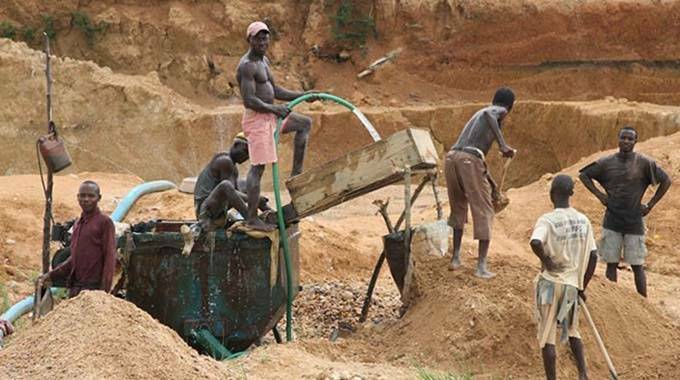 Mining companies are funding an insemination programme, all the eight agricultural provinces in Zimbabwe have been adopted by each of the mines. We are driving that because as MineX we are partners for success for both large scale and small scale miners. Where are our miners going wrong currently? For large scale miners we have said make value in your area of location so that you have the social license. This ensures that the community accepts you and supports you. For small scale miners we identified three things that need attention; knowledge, regulatory ease of doing business and financial issues. We need to bring those things together for the benefit of the small scale miner. LD: Moving back to the policy part, do you think that business is really involved in making decisions that govern them? MH: With the new dispensation, it is a resounding yes. If there is anything that President Mnangagwa has done so well, it is the opening of dialogue and the discursive space. He says everyone has an idea, Government just plays a part in the development of Zimbabwe, industry has a role and the consumers have a role. We as Buy Zimbabwe, he has been our guest of honour twice in a row, talking to business. I am sure every other business member organisation has met him. This country had forgotten the need to say we develop the country together, and President Mnangagwa has been very exemplary in that regard and one hopes he continues with the same path that he has taken. LD: Earlier, you mentioned mining projections for 2030 how we do we reach those figure? MH: We should grow by about 9 percent a year and to grow means to reduce current account, as far as we are concerned you must go back to your land you must make use of mining resources and put people to work. In mining and agriculture focus is what we need, go back to your land and unlock value in the mineralisation and grow by 8 percent and celebrate. LD: You are well versed in both agriculture and mining do you think command mining can be a success? MH: I know that there are gaps in mining particularly for small scale, they have critical funding challenges, yes Fidelity has come in with a $100 million facility and it has worked. But equally as the funding comes it has exposed gaps. Especially the processing of the ore and the understanding of the ore body. The miner needs to be capacitated with knowledge and Government needs come in and work with different mining bodies that are already there like Zimbabwe Miners Federation even Chamber of Mines. We need to take a purposeful approach to ensure that we unlock the value that is on our land. We are too rich to be poor and we are only poor by choice and rich by choice. The good thing is that we realised that enough is enough and we need to be like other countries. God gave us enough resources to embark on agriculture and mining. We need to utilise our resources and become the Switzerland of Africa.